Anyway, beacuse the world works in mysterious ways (don't we know it!) Wendy Gager's post for today--is about hockey! I mean--it's as if we PLANNED it. And we didn't plan it! Talk about planning..there are certain things you cannot plan. And that's what happened in Wendy's new book! but the season was on ice"
WENDY GAGER: I must confess I’m not a huge hockey fan but I’m dragged kicking and screaming into the frenetic sport, so much so that it even graces the pages of A CASE OF VOLATILE DEEDS. This season is Stanley Cup fever as the hockey champ will earn the title any day now including a game tonight. HANK: Well, yeah. I've been watching HOCKEY. Did I say that? Anyway. W.S. GAGER: I’m from Michigan and Red Wing fever takes over the state for the snowy winter months and continues. When writing about an area, an author has to include local flavor and customs. My Mitch Malone Mystery books are set in fictional Grand River, the second largest city in Michigan modeled after Grand Rapids. As I was writing one part, I needed my reporter character Mitch Malone to butter up a source. Most people would talk about the weather but small talk in Michigan can be dicey because it changes so frequently. When the weather is nasty, it is just not a good conversation gambit. The book is set during the fall which can be 80 degrees and sunny one day and a few inches of snow the next. Many people think of football as a fall sport, and it is popular in Michigan, but hockey is huge as evidenced by Detroit being called Hockeytown because of the Red Wings. The Grand Rapids Griffins are a farm team for the Wings and in lower leagues are the Muskegon Lumberjacks, Kalamazoo K-Wings, Flint Generals and others also drawing loyal fans. HANK: See how we bring you new stuff here at JRW? I sure hope the fabulous Bryan Gruley is reading this. He'll be so proud of us. Anyway, Wendy, you were saying. WENDY: Including real life people and events in your story is chancy because they can change. Players get traded, hurt or just retire. I also wanted something unique. I chose Justin Abdelkader. No one would ever forget that name if they heard it. Justin also is from Muskegon and returns to his roots often to encourage younger kids at the local ice arena. When I wrote the book two years ago, Justin had just been getting a lot of ice time with the Red Wings. We had watched him play for the Griffins after he helped Michigan State University win a national championship. The irony for me was when my book was released in what should have been hockey season, it wasn’t because of the dispute between owners and players. Hockey did reappear in a shortened season that is finishing now. Since I put Justin in A Case of Volatile Deeds, he has become a valuable member of the Red Wings team. My daughter, who is a very vocal hockey fan, has referred to him as “Abby.” The culmination of the Hockey season is upon us with the Stanley Cup playoffs. Abby and my beloved Red Wings won’t be there this year having lost to the Chicago Blackhawks. But Abby will be a Red Wing forever in my book no matter where his career leads. Do you like to read about local things in books? Does it stop you or throw you out of the story when something has changed? HANK: And hurray: You don't have to ice the puck to win--or whatever they do--one lucky commenter will win a paper copy or a kindle version of any of the four Mitch Malone books! W.S. Gager has lived in Michigan for most of her life except when she was interviewing race car drivers or professional woman's golfers. She enjoyed the fast-paced life of a newspaper reporter until deciding to settle down and realized babies didn't adapt well to running down story details on deadline. Since then she honed her skills on other forms of writing before deciding to do what she always wanted and write mystery novels. Her main character is Mitch Malone who is an edgy crime-beat reporter single-mindedly hunting for a Pulitzer Prize. 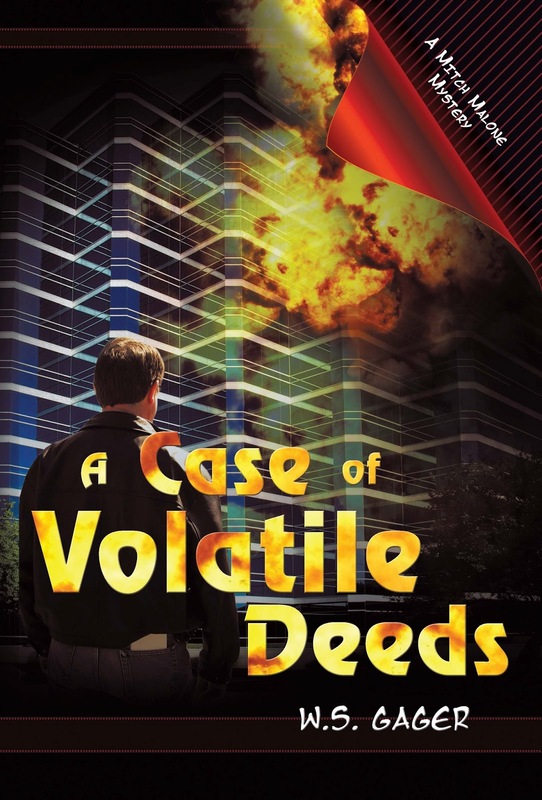 A Case of Infatuation, the first in the Mitch Malone Mysteries, won the Dark Oak Contest in 2008 and nominated as a Michigan Notable Book. A Case of Accidental Intersection took first place in the 2010 Public Safety Writers Contest in the unpublished category before its release. 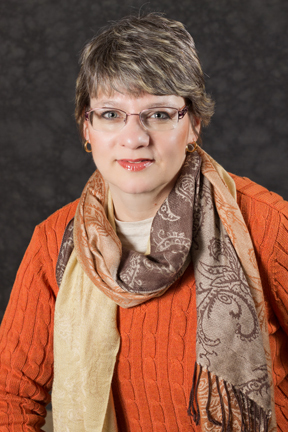 Her third book, A CASE OF HOMETOWN BLUES, was a finalist in the 2012 Daphne Du Maurier Award for Excellence in Mystery/Suspense. She loves to hear from readers at wsgager@yahoo.com or on her blog at http://wsgager.blogspot.com. Local things in books are fun, I think . . . they don’t throw me out of the story unless it’s a really huge change . . . . Of course, when it comes to hockey, you could write just about anything and I’d never know if it was accurate or not because I know almost nothing about it and I haven’t got a clue when it comes to the rules of the game . . . . I'm with you Joan! I don't understand a lot about hockey although my family (and I by osmosis) watch it for hours. I still run all my facts through my hockey nut daughter. As a writer you can tell a story by wrapping it around an attractive setting. It will be nice. Or exciting. Or feel dangerous. Maybe your story will hold up. Maybe it won't. Maybe it will be a distraction. Filler. But if your location informs your story, and if its character plays a part in the telling, then the context will feed the tension and move your story. When Hank places her story of THE OTHER WOMAN in Boston, the location isn't decorative. The post office parking lot on the edge of Fort Point Channel moves the story in a way that no other character can, and the scenes there give meaning to all the characters in a way that no other setting can. All the settings in the book move the story in their own important ways, but I'll tell you the feelings that Hank evokes when she writes, "No footprints, no evidence, no nothing. Murk and obscurity. Just like this case. Silent ripples lapped close to his boots, then slid away into the depths of Fort Point Channel" are the feelings of the setting that give life to the story. That is the kind of importance, the depth, that location can give to the story. I have been to Fort Point Channel trying to beat a midnight deadline to mail a letter, and I can imagine that Hank must have been there similarly, because she gets it so right. The detail is there, yes. But that is less important than what the setting evokes. Hank could have mentioned a ton of other things about the parking lot at the exit from the post office. I might have written about the long, long wheelchair ramp that scared the hell out of me. But the detail of the real space is only as important insofar as it tells the story, so we can feel it. Location. Yeah. And I love hockey. Go Bruins. Go Zamboni. Wendy, sorry about the Red Wings, but I'm hugely excited to read your book! And about Abdelkader! But all the same... Go Bruins! Bruins win in double overtime! I admit to staying up for that. And I'll watch tonight. Sweep, I hope. Hi Wendy. I'm looking forward to reading the Mitch books. I like reading about places and situations I'm familiar with unless the author gets them wrong. One notable author set a book in Maine and had the characters driving up the Turnpike through Brunswick. The turnpike doesn't go through Brunswick. Made me shake my head and wonder about all the other locations that he describes so well in his books. I know I probably shouldn't have let it bother me but it did. Since you've interviewed race car drivers do you include any of that experience in your books? Hi Wendy, welcome to the reds! I use a lot of real people and places in the Key West mysteries--and already some of the places have gone out of business or closed down. It's a hazard, but I'm a reader who likes to recognize places I've been. Well when it comes to hockey, Boston (even Hank) is riveted. But boy those playoffs do go on forever. Have we really almost reached "the end"? Happy to have you on Jungle Red, Wendy - and yes, I love books with local detail. But I was also happy to be able to write a completely fictitious neighborhood in the Bronx for There Was an Old Woman -- secure in the belief that only people who were born in the Bronx (or went to Fordham or shopped a Loehmann's) have actually spent any time there. It's the mystery borough. Aw, thank you, Reine! I can't go by that post office now without getting a little creeped out..so funny how my brain has now conflated reality and fiction. As for the RULES of hockey, as I said, I'm not to clear on anything but the puck-in-the-net thing. And from time to time--I'll say "They're on ICE SKATES!" Never thought I could lilke hockey, but it's fun to be wrong in this case. Thank you all for making me feel so welcome. As I told Hank Im rooting for the Bruins now the Wings are out but the games do go on forever! As for race car drivers, I've never neverhad a driver character characterbut have used what they taught me about driving. There is a chase scene in A Case Of Infatuation where cornering and accellerating came in handy. And did you see that article about hte "new" golfers? How they work out like mad, and are in great shape..then they had a 1980's ish photo of a very rumpled and lumpy--oh, not Jack Nicklaus, but someone like that. So interesting about the sunscreen. Never thought about that. In the late 70's I used to go to Cincinnati Stinger games with a neighbor who scored tickets through his job all the time. It was "my" sport; I could understand the rules, there was lots of action, and you could really see the action no matter where you sat. Have not been to a game since, and in fact the Stingers went the way of the dinosaurs a long time ago, and were briefly replaced with the Ducks, and now we have the Cyclones, which I've also never seen. Maybe it's time to go back to the game. You put hockey in a book and I'm so there! (Go Devils! And thank you Boston for taking out the Rangers!) As most of my pals know I'm the teensiest bit obsessive ;) In fact my debut book, out in Sept from Harlequin, features hockey too. Wendy - will definitely get your book. I love to see local things in a book, as long as the author gets it right. Nothing worse than seeing something wrong in a book - being a Brit, I get this a lot (like cricketers who pitch a ball ... no!) I know how hard most authors work to get things right, but occasionally you cone across something that would only take a minute or two to confirm and wonder if that person did take the time, or just assumed. I do try and get the details right because I get thrown out when I read wrong things. For me the hardest is when things out of my control happen--even frequently like hockey being on hiatus. The one thing I didn't mention about hockey is the fighting. In professional teams there is not as much of that anymore, but was more prevalent a few years ago. Some fans (like my daughter) lives for those. Is that the advent of video games or something she inherited (like me writing about murder)? I think local details make a story fun. It establishes a bit of a connection with the author. Zambonis are the only thing I know hockey. I suppose its a start. I'm with Anna. Local flavor is great but best when it's right. Wendy, the only thing better than hockey in a murder mystery is the Red Wings in a murder mystery. Woohoo! Looking forward to reading your book. For those who like hockey in their mysteries, check out Bryan Gruley's Starvation Lake series -- VERY nice "athlete comes home to find his tiny town isn't as simple as he'd always thought" treatment. And Steve Hamilton's "Paradise" books aren't quite so hockey-centric but also darned good. All set in Michigan, of course! Ed Gorman's Sam McCain mysteries are set in the 1960s in a town that doesn't exist between Cedar Rapids and Iowa City, and they work beautifully. It's just a little parallel universe thing, much easier to believe in than, oh, say a Kardashian. Donald Harstadt's series was based on his real-life law enforcement experience in northeastern Iowa and those also rang very true -- so sad he stopped publishing! At one signing event, he told the funniest story about a London agent flying into Iowa to meet with him. He offered to meet her at the Cedar Rapids airport and she said she'd just catch a cab to Elkader, not realizing the distance was roughly equivalent of that from London to Southampton! I must be a bit lax on my hockey in Michigan reading. I better get cracking. Thanks for those great suggestions Kristi. (I've traveled that stretch of highway and you are right that it is monotonous! Must have a great audio book for those trips!) I'm thinking a good mystery would have the Zamboni as a murder weapon? I do like the details that add to the local flavor of a book, and I think readers really get a kick out of recognizing a place or a person. Reading all this about hockey made me think of one of my first dates with my husband. It was at a hockey rink with him in goal. When he asked me to go to a hockey game, I thought we both would sit and watch the game. Instead, I sat in the bleachers with his two young nephews, who were so shy they did not speak the entire time, and I tried to figure out what was going on out there, besides the fact that a whole bunch of guys kept skating right into the net. I'm so Californian I didn't realize hockey was popular in the US until, like, ten year ago. Completely out of my radar zone. Hockey seems exotic and kinda strange to me. But, the point is local setting. I love local setting. It doesn't have to be 100% true to the actual locale just as long as it's true in spirit. Email me at h ryan at whdh dot com and I will send it to you! Lucy, I have the same problem with using real places. Often, by the time a book is published, shops and restaurants have closed or changed hands. But it's those very details that bring a book to life. The playoffs have been very exciting this year. Sorry about the Red Wings. But I must say a Bruins vs Blackhawks series is gonna make my heart stop. And I can say that even though the Stars can no longer remember what the beautiful Stanley Cup looked like. I think local things bring a story more into the mindset of the reader. ... Hockey?? Did some one say Hockey?? You have my interest Jungle Red. The Stanley Cup playoffs are the longest, toughest, hardest fought championship in all of sports. Good luck to the Bruins, may they hold that Cup high. Oh, Vivian..crossing fingers. We can all watch together tonight..
Yeah, Annette, Bruins vs. Blackhawks could be fabulous! Who would have thought hockey would have generated so much interest! It's great to find others following it. I agree with Vivian that hockey players are the toughest with few prima donnas. One Bruin got a broken leg! A BROKEN LEG! during the game. And stll played. It has been so much fun talking Hockey. Most of you are glued to the Bruins/Penguins game so I will sign off and check back later. Yup, starting the third period! I cannot take it! Hank, double agony here in Tucson… Cannot see it without subscribing to the whole season on satellite. Cannot do... arrrrrgh. YOu are lucky. It is TOO TENSE. Hank, So I gather! Woot! ...night all. and thanks for visiting, Wendy! Thanks again Hank! And the winner is...Joan Emerson. Please email me with what book you would like to wsgager at yahoo dot com. Glad for Boston but that means more nail-biting action. I also wonder about putting "real world" characters or events into my fiction. I'm never sure if it will add to the story or distract from it. 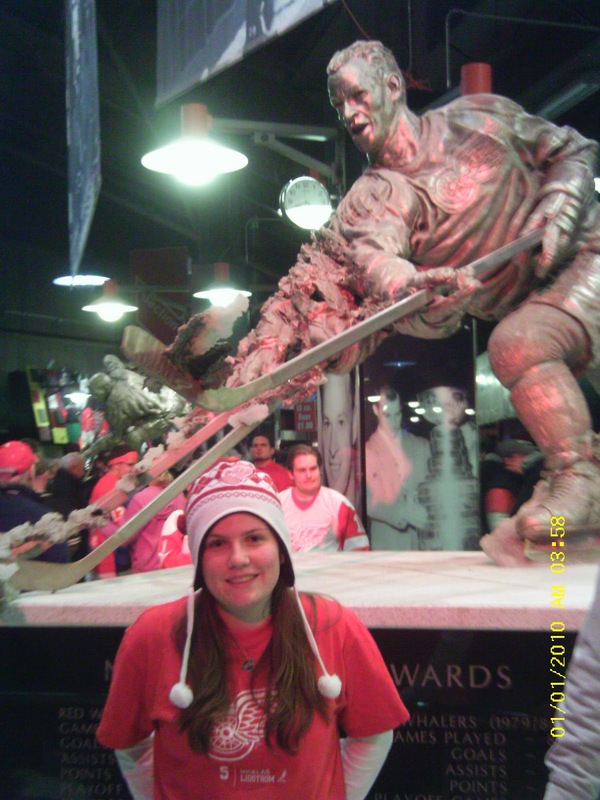 Wendy, I'm from Grand Rapids and an avid Red Wings and Griffens fan, too! I never thought I'd read anything about Justin Abdelkader on JRW! I'm also happy for him that he's become so valuable to the team. The Wings are out, but GO GRIFFENS!! I'm definitely putting your book on my TBR list! Rob: Real life is always a crap shoot, whether in a book or not. Good luck! Kimberly: Awesome to hear from some one from Grand Rapids. My books are set there but I did fictionalize it and call it Grand River.